About 11 times more than the state is currently building—as well as a much more flexible grid. If California wants to continue increasing its share of solar power on the grid, it will need greater capacity to store it. The question remains: how much? Those can only go so far, though. To meet the 50 percent photovoltaic threshold economically will require energy storage. The state already has 3,100 megawatts of pumped storage, with 1,325 megawatts of additional storage set to be deployed by 2020, per the state mandate. 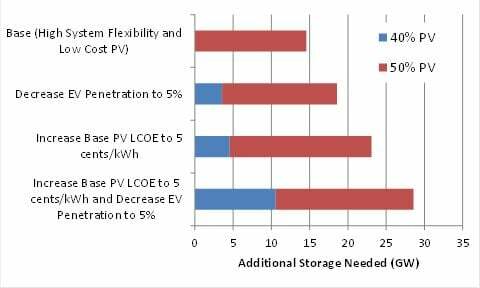 Under the most optimistic flexible grid scenario and with PV prices falling rapidly to 3 cents per kilowatt-hour, California will need another 15 gigawatts of storage by 2030. That’s more than 11 times the amount mandated currently in California, and 66 times the total megawatts deployed in the U.S. last year. And any delays in the price declines of solar, or the rollout of EVs, or the flexibility of conventional power plants, will raise the bar on the amount of storage required. That sounds daunting, admitted NREL Principal Energy Analyst Paul Denholm, who co-authored the research with Robert Margolis. But the challenge becomes more attainable if you frame it as getting storage to a price point where it can take the place of peaker plants, the most expensive form of thermal generation. California had 22 gigawatts of fossil-fueled peakers as of 2014, including 14 gigawatts that were older than 25 years and will eventually need to retire. “The way to think about it is not necessarily to compare it to existing storage, but compare it to existing peaking capacity, because ultimately that's what storage is going to have to be replacing,” Denholm said. 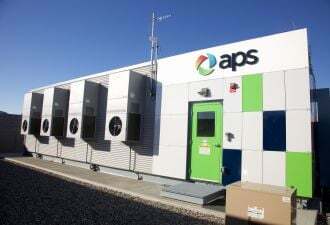 Whereas peakers only operate for the tiny fraction of the year when demand surges, longer-duration energy storage can fulfill that role and perform other services the rest of the year. Top candidates for those other services are avoiding new distribution and transmission costs and reducing costs from thermal plant starts and stops, by charging from those plants when low demand would otherwise require them to turn off, Denholm said. The study’s benchmark of 50 percent PV by 2030 doesn’t come from California’s existing policy, which calls for all types of renewables to add up to 50 percent of generation by that year. 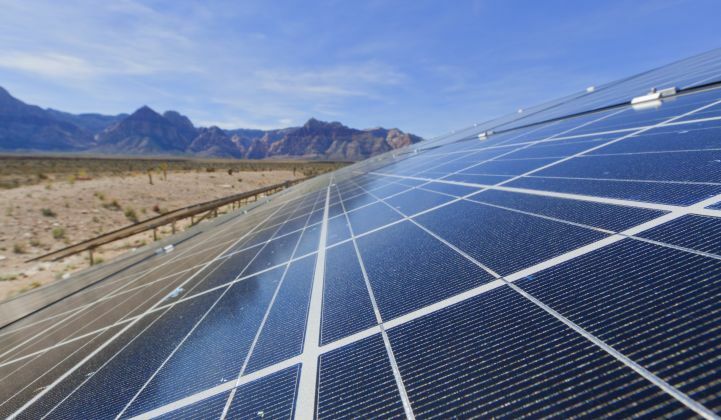 The choice of target for this study came out of the unexpected success of solar manufacturers relative to the Department of Energy’s SunShot goal, which called for reducing solar prices to 6 cents per kilowatt-hour by 2020. That goal now seems readily attainable, Denholm said, which led him to wonder what further price reductions could mean for PV penetration into the grid. Five cents per kilowatt-hour is “totally doable” for California by 2030, he added. It’s worth noting, then, that this study isn’t optimizing all possible low-carbon grid options and concluding that 50 percent solar is the best way to go; it’s just saying that if California wants really high PV penetration, here’s how much storage it will need to achieve that. A recent analysis by Jesse Jenkins at MIT even suggested that a low-carbon grid is possible without any storage investments, provided the grid can call upon significant amounts of flexible nuclear baseload generation. That’s not likely to happen in California, now that utility PG&E has made a deal with anti-nuclear environmentalists to close the state’s last nuclear plant, Diablo Canyon. Having chosen to eliminate most of its low-carbon baseload, cleaning up the grid will require high renewable penetration, making the NREL study’s findings all the more pertinent. Initially, the growth of solar deployments reduces costs by improving economies of scale. Once this intermittent source becomes a substantial force on the grid, however, complications ensue. If the moments of peak production flood the grid with more power than can be used, and there isn’t storage to hold it for later, then solar plants have to curtail their production. Since there isn’t a fuel cost associated with the sun, curtailing doesn’t cost much, but it does reduce the return on investment for installing that solar. That causes the marginal cost of solar -- the theoretical price tag on the latest installation -- to rise, and if that continues, it can render solar uneconomical compared to other sources, regardless of material costs. Curtailment becomes an issue after about 12 percent of PV penetration, according to the study. 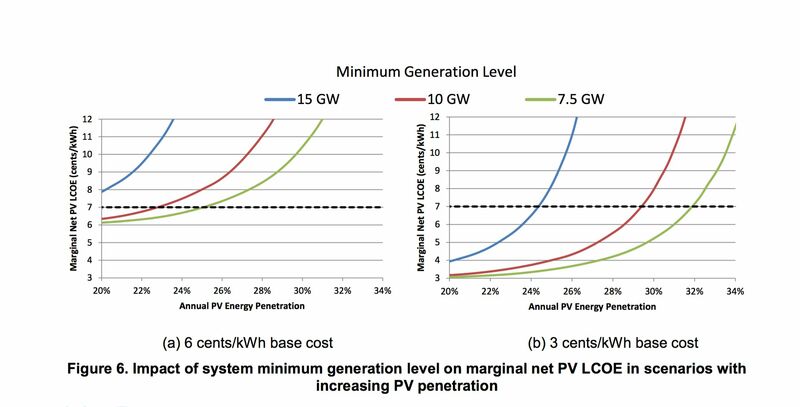 By 20 percent PV penetration in the basic 2030 scenario (business-as-usual storage), the marginal rate of curtailment reaches 26 percent, including energy lost heading in and out of storage. 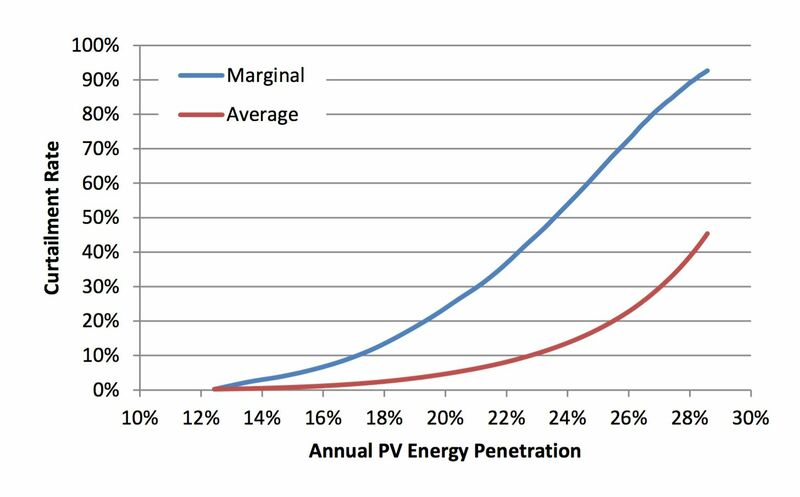 The effective marginal price of new PV spikes by 25 percent penetration. The bulk of the study details ways of evading curtailment, in order to keep the value of new solar in an economically competitive range, thereby enabling further solar deployment. This falls into two main categories: grid flexibility improvements and storage. The more the grid can flexibly respond to the ups and downs of solar production, the higher the value of solar remains. These grid improvements are generally cheaper than massive storage procurement, so they should be looked at first. The first approach is to reduce the amount of generation capacity that has to run, due to mechanical or market reasons. Conventional power plants can be more expensive to turn off than to keep operating during electricity gluts. Other plants have to stay on to provide additional services, like reserve power and grid stability. The authors estimate that California has 15 gigawatts of this must-run power in the base case. The aggressive scenario reduces this to 7.5 gigawatts by eliminating “must-take” contracts from out of state, slashing the minimum generation levels at co-generation plants (which provide heat and electricity at industrial sites) and thermal plants, and making it possible to turn off almost all fossil generation during solar peaks. That highly flexible grid combined with an optimistic 3 cents-per-kilowatt-hour price of solar could enable PV penetration above 30 percent, but beyond that, the marginal cost starts to spike. Exporting surplus power to neighboring markets helps reduce curtailment as well. The interconnectedness of the European grid, for instance, has helped Germany get its share of renewables above 30 percent. California historically has been a net importer, but if it greatly expands solar capacity, that could turn around. There’s nothing particularly daunting about sending surplus solar down the line to neighboring states, Denholm said. It’s more a matter of building out the software and communications needed to predict an upcoming production spike and find some buyers for it, and creating market mechanisms to handle that transaction. 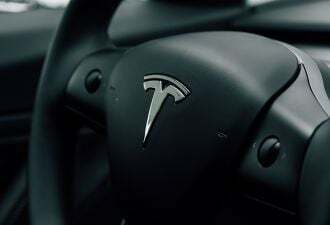 Additionally, the grid grows more flexible with the adoption of demand response techniques and a growing fleet of electric vehicles. The EVs, though, only really help the expansion of solar if they charge during times when solar would otherwise be curtailed, that is, the middle of the day. The authors combine all those variables into low, middle and high flexibility cases. The high flexibility case assumes the minimum generation level comes down from 15 gigawatts to 7.5, with 10 gigawatts of export capacity, 4 gigawatts of peak demand response capacity, EV penetration at 25 percent of the light-duty fleet and 75 percent of those EVs charging during times of peak solar generation. That high flexibility case succeeds in keeping marginal curtailments low through 40 percent PV penetration, but they skyrocket after that. To hit the 50 percent mark, then, requires aggressive grid restructuring and some amount of storage. The authors benchmark the costs of solar in these scenarios against the approximate cost of future combined-cycle gas turbines. As long as the solar prices plus the effective expenses imposed by curtailments stay below 7 cents per kilowatt-hour, they are deemed to be economical. If the base cost of solar (before factoring in curtailments) is still 6 cents per kilowatt-hour in 2030, meeting that cost-effectiveness threshold will be nearly impossible: even with a highly flexible grid and 35 gigawatts of energy storage, California wouldn’t be able to do it. If the base solar price comes down to 3 cents per kilowatt-hour, though, that 7-cent effective price is doable. It takes a total of about 19 gigawatts of storage with a highly flexible grid, about 26 gigawatts with a midway flexible grid and about 32 gigawatts with low flexibility. If that all sounds overly optimistic, the authors helpfully lay out the storage needed if some of the assumptions don't come through. If the base cost of solar only comes down to 5 cents per kilowatt-hour, and the highly flexible grid can only wrangle 5 percent EV penetration, then California will need 28 gigawatts rather than 15 GW of additional storage to get to 50 percent solar. It’s possible to read this as evidence that a 50 percent solar grid simply doesn’t make sense -- the marginal costs just rise too high. It’s hard to see how such high penetrations of solar could optimize system-wide costs, as the last unit of solar installed creates a higher hurdle for the next unit. Indeed, if all the other renewables expand in the next 15 years, such a vast adoption of solar may prove unnecessary for meeting climate goals. On the other hand, things look pretty good for a 40 percent solar grid. With solar at 3 cents per kilowatt-hour and a highly flexible grid, California could achieve 40 percent solar with no more storage than is already planned. If the solar costs stick at 5 cents per kilowatt-hour, California could get to 40 percent solar with less than 5 gigawatts of additional storage. 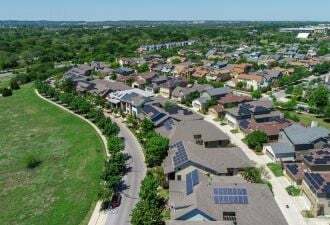 If the state holistically improves flexibility throughout the grid, giving each available option a chance to provide service, it can pave the way for a lot more solar than storage alone can support.